How the Forth Bridge changed the lives of two sisters. This is the first in an occasional series of blogs about the people and places around the Firth of Forth. And where else can we start our tour, other than at the iconic Forth Bridge? Constructed between 1883 and 1890, the Forth Bridge remains the longest cantilever bridge in the world and has recently received World Heritage Site status. At the peak of construction some 4,600 men from across Scotland, the UK and Europe were employed in the work. The Bridge was officially opened by the Prince of Wales (later Edward VII) on 4th March 1890 (images of the ceremony are available from the National Library of Scotland). The island of Inchgarvie forms the foundation of one of the cantilevers of the bridge. The island’s history include times when it was used as a fort, a prison and a quarantine hospital and 1886 a lighthouse was built on the island. Which brings us to our tale of the untimely deaths of two men named James. In January 1891, newspapers reported the accidental death of James Jack, the lighthouse keeper for Inchgarvie. James had slipped while he was working on the light, fallen on to the rocks and then into the sea. His body was taken to Inverkeithing on the northern shore of the River Forth where his cause of death was record ed as “shock from fall”. James Jack was the son of John Jack, a mason, and his wife Margaret Wilson. Born in about 1829, James can be found aged 12 on the 1841 census living with his parents in Beveridge Well in Dunfermline. On 24th March 1854 when he and Catherine Hall were married in Dunfermline, he was a mariner. He continued to work as a mariner for most of his life, and in 1885 was listed as a boatswain. James and Catherine had 7 children in total, and the family lived in Limekilns, a small village on the north shore of the Firth of Forth. 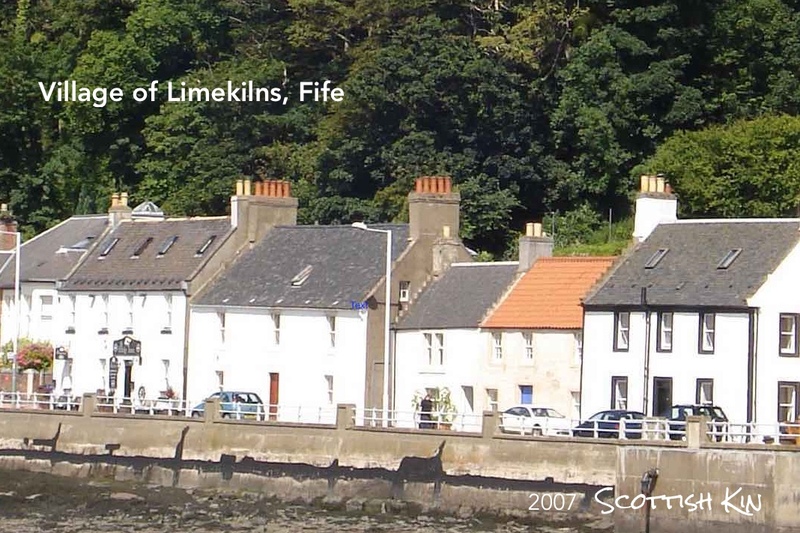 After James’ death, Catherine Hall continued to live in Limekilns until her own death some 16 years later. James Jack’s brother-in-law, James Sim (or Syme), had also been killed in an accid ent, on 3 August 1887. 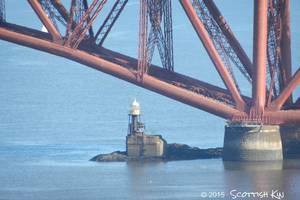 He was working as a labourer on the Forth Bridge construction. The death was recorded as instantaneous, when the scaffold he was working on as a painter gave way and James fell 130 feet on to the jetty at the South Queensferry end of the bridge. James and his colleague John O’Neill aged 16 and from Kirkliston suffered “dislocated necks” and James also fractured his pelvis, ribs and left foot. James was married to Alison Lapere, who was Catherine Hall’s sister and who had also grown up in Limekilns, and they had 9 children at the time of his death who ranged from 30 to 8 years of age (2 more girls had died young). The family lived in Dunfermline, 6 miles north from the Bridge and this is where Alison Lapere died in 1915. 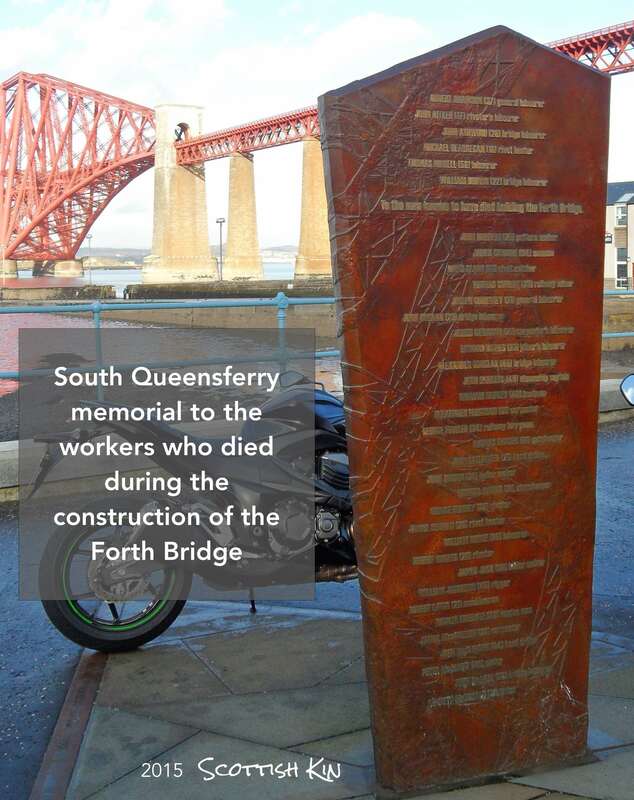 James Sim is just one of the 73 men & boys now recorded as having died during the construction of the Forth Bridge and whose names are recorded on twin monuments in South and North Queensferry. “The Briggers: The Story of the Men Who Built the Forth Bridge”, written by Elspeth Wills and with research by members of the Queensferry History Group, tells the stories of more of the men, for those who would like to know more about this impressive piece of Victorian engineering. Hammerman: Traditionally a craftsman who worked with metal - for example blacksmith, sword makers and locksmiths.